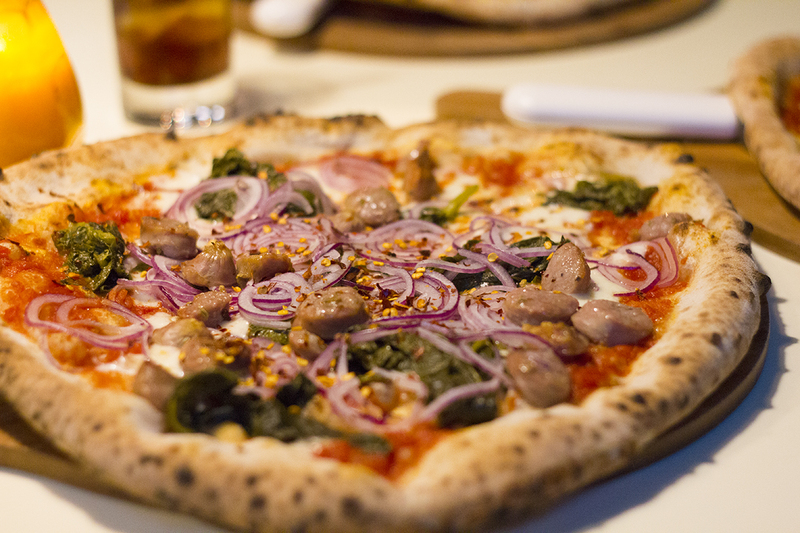 In Manchester, if you were on the hunt for a tasty pizza, your options used to be limited to a cheeky Dominos, your local takeaway or an overpriced Italian restaurant. 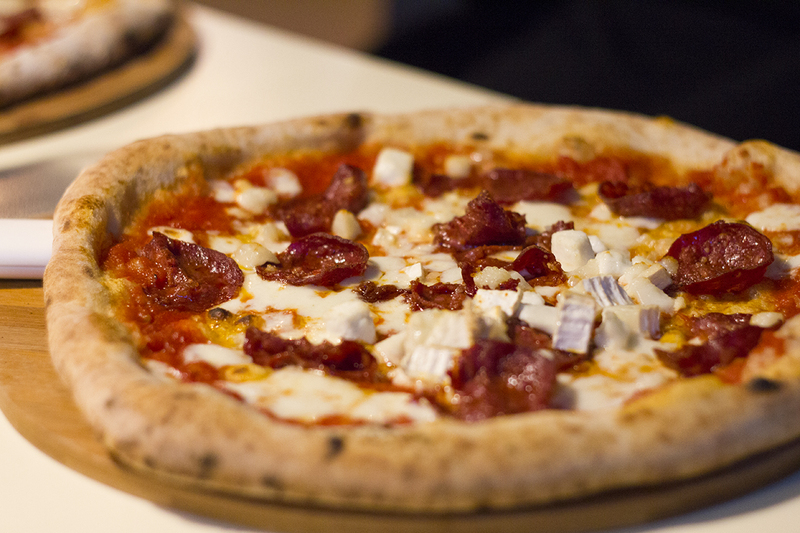 Fortunately, we now have a selection of independent pizza places in Manchester that really know how to craft the perfect pizza. 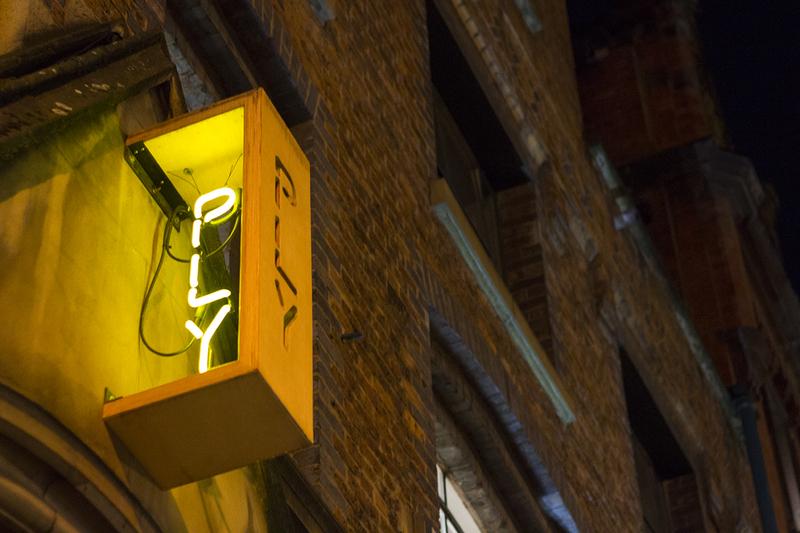 One of my favourites is PLY in the Northern Quarter, which is a relatively new addition to the Manchester food scene. 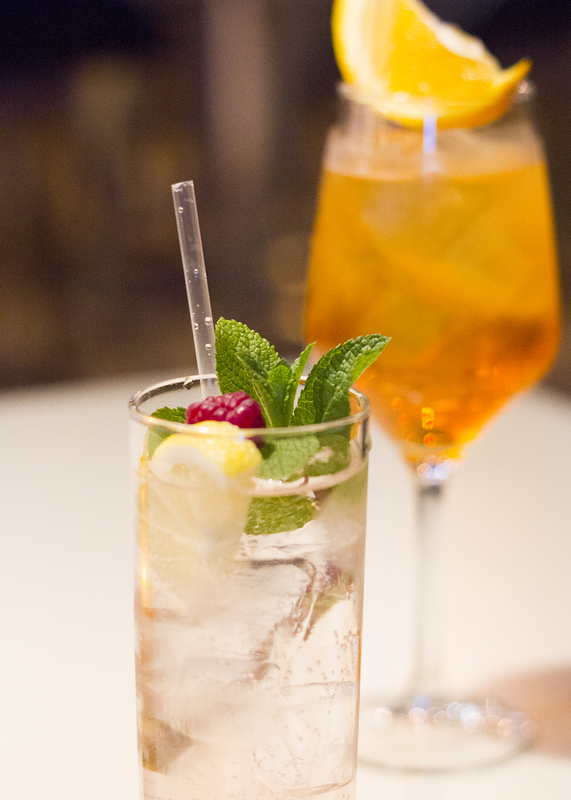 I’ve been a couple of times now as it’s a really safe choice for a post-work feast with your friends, especially if you’re looking for a starting point for a night out. Being located in the heart of the Northern Quarter, it’s always going to have a pretty cool interior, right? PLY is no exception to this and although it occupies a large space, they have managed to separate the spaces quite well with lots of quirky decor. I love the little reading nook, which is perfect for a midday coffee whilst you get some work done. They also frequently host art exhibitions, so there’s plenty of local art hanging around to gaze upon whilst you take a breather from inhaling your pizza. The highlight for me though, has to be the huge ‘disco ball’ pizza oven that sits at the back of the restaurant. 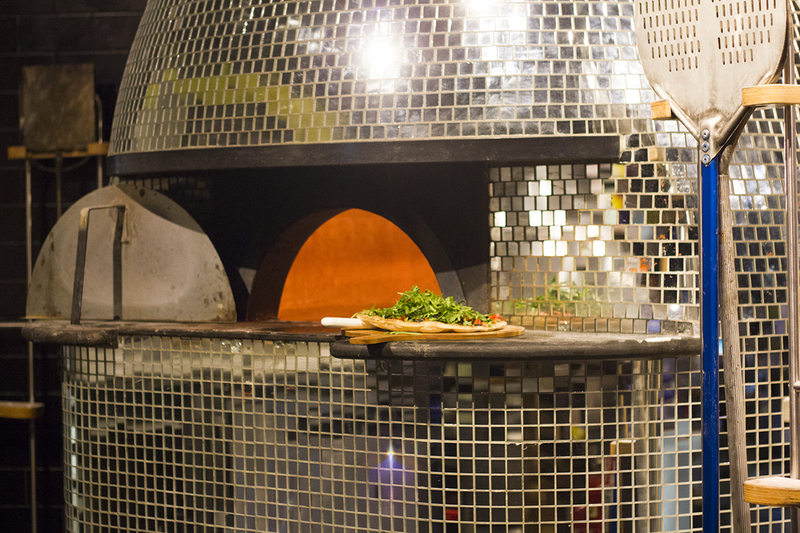 You can watch your pizza being cooked in absolute style, right in front of you. Bellissimo! Naturally, being a pizza place, the main focus on the menu is pizza. They offer a few small plates, including salads, olives and veggies, but their pizza menu is pretty extensive and flexible so vegetarians and vegans can be easily catered for here too. I went for the Sausage and Broccoli Bianca pizza but opted to have it with a tomato base rather than without. As I said, they’re really flexible with the menu, so if you want to make any swaps then all you need to do is ask! My pizza included toppings of fennel sausage, wild broccoli, red onion, mozzarella and chilli, on a freshly made sourdough base. The chilli flakes gave it a welcome kick of heat that thankfully stopped me from eating the entire thing in two minutes flat. The quality and combination of ingredients made this a truly perfect pizza for me. Well done, PLY. 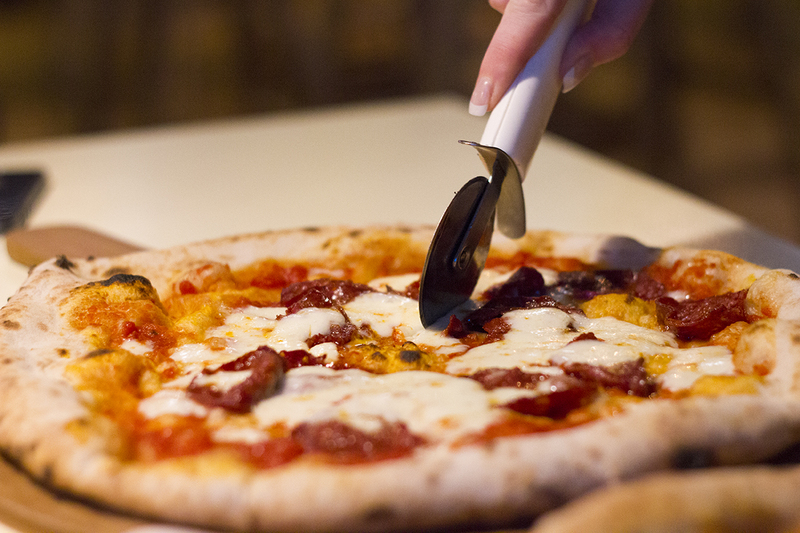 Alice and Jade opted for the classic pepperoni pizza, with Alice adding on some goat’s cheese for a little extra somethingsomething. Both of them devoured their pizzas in even less time than me, which is usually quite a challenge considering the speed at which I eat, so they must’ve been pretty special pizzas. The only negative of the entire meal was that they didn’t have any desserts at all, as they were all sold out. Unfortunately this also happened the last time I visited, so just warn your sweet tooth in advance if you like to finish with something sweet! 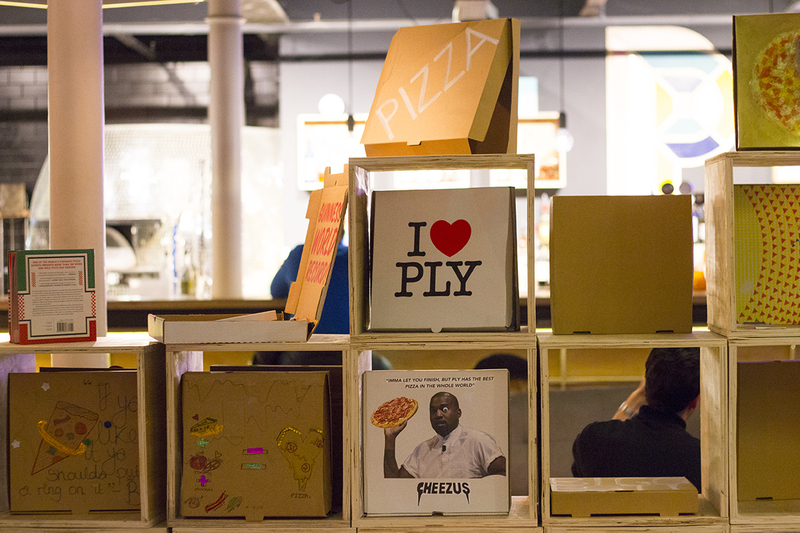 You can take a look at their full menu on the PLY website here. Or if you’re looking for more Manchester inspiration, check out my other reviews of Manchester restaurants.